The comedian talks about the end of his CBC show and why he wrote a book about it. 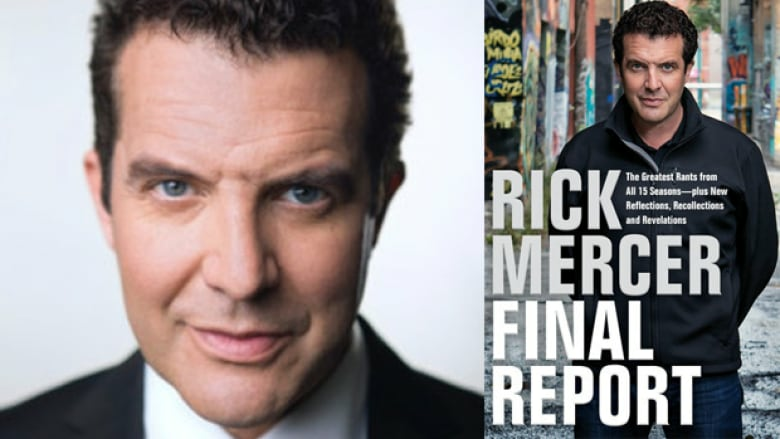 When satirist and comedian Rick Mercer announced that the 15th season of the Rick Mercer Report — the popular comedy CBC television series — would be its last, it was the end of an era. But Mercer, in true form, still had much to rant about. His latest book, Final Report, is a carefully curated look at never-before-published rants from the last five seasons of the show, along a collection of the very best rants from earlier years. Mercer spoke with Shelagh Rogers about why he wrote the book. "I really loved writing these reflections. These are the experiences I've had and the stories that I've told over the years. In the comedy world, no one talks about the show that went great — they talk about the show that went wrong. That's where the funny story is. So in this book, I talk about things like the time we crashed in a helicopter while searching for a bat cave. It ended quite badly, and those are the stories that are fun to tell. "I also write a lot about the fact that it was the same group of people on the road for 15 years which is pretty unique. I think it's the hardest thing in the world to keep the band together. And yet we managed to do it. It's easy to hang out with someone when everything is going great. But it's difficult when things are tough and when you're stuck on a tarmac for seven hours, that can be tough." "When the show started, we just focused on getting through that first year. And then when we got through that, I thought this could go seven or eight years and I wondered if there would be something to rant about every single week. "But I quickly realized that was a ridiculous notion, because there's always something to rant about. There was never a rant where I manufactured outrage, it was always an honest reaction to what was happening at that time in Canada." Rick Mercer's comments have been edited and condensed.